Distribution: Global Original, Only available in US, Canada, Australia and New Zealand. This contemporary crime thriller focuses on a Wyoming sheriff who is rebuilding his life and career following the death of his wife. 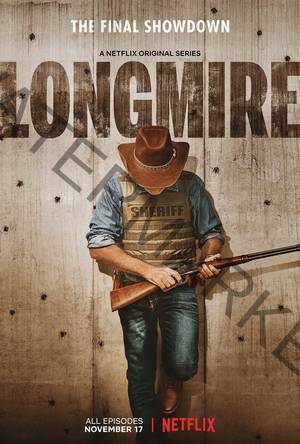 Walt Longmire is the charismatic, dedicated and unflappable sheriff of Absaroka County. 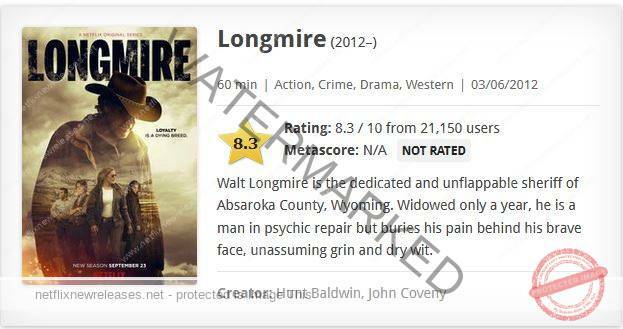 Widowed only a year, Longmire is a man in psychic repair that buries his pain behind a brave face and dry wit. Struggling since his wife’s death and at the urging of his daughter, Cady, Longmire knows that the time has come to turn his life around. With the help of Vic, a female deputy new to the department, he becomes reinvigorated about his job and committed to running for re-election. When Branch, an ambitious, young deputy decides to run against him for sheriff, Longmire feels betrayed but remains steadfast in his dedication to the community. Longmire often turns to close friend and confidant Henry Standing Bear for support as he sets out to rebuild both his personal and professional life, one step at a time.